William Moore House | Historic Jacksonville, Inc. 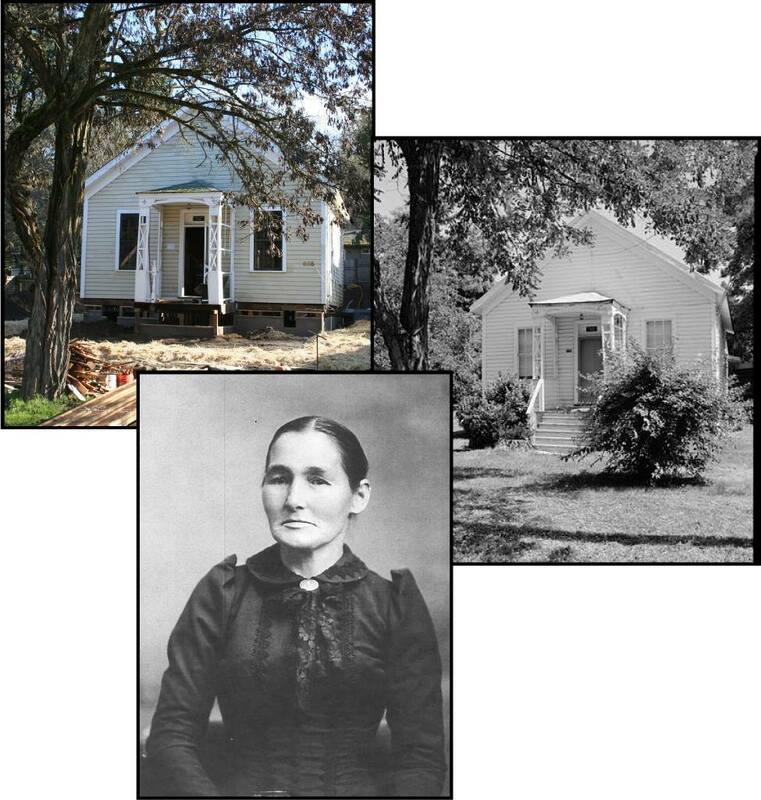 The Jacksonville home currently being restored at 635 South 3rd Street was built in 1878 for William Moore. In 1899, Moore and his wife Rebecca sold the house to Sarah Cantrall. Sarah had moved to town 9 years earlier after the death of her husband John. John had come to Southern Oregon in the late 1850s and mined Sterling Creek during the boom years. In 1865, the Cantrall family left Sterling Creek and took up an 80 acre land claim across the Applegate River from Uniontown. Cantrall continued to mine and farm for the next 25 years, also purchasing adjoining land. From pioneer days to the present, a rock rimmed pool on the Cantrall’s Applegate River property was a natural swimming hole. In 1960 the Bureau of Land Management built a bridge across the river just above the swimming hole to access some of its forest tracts. The bridge made it possible for the Jackson County Parks Department to purchase 45 acres and develop a large park, now known as the popular Cantrall-Buckley Park in honor of the Cantralls and their neighbors.